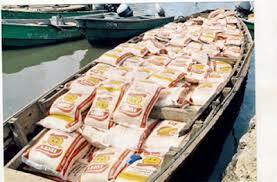 Rear Admiral Mathew Emuekpere, the Flag Officer Commanding, Eastern Naval Command, Nigerian Navy, said the command seized over 13,803 bags of smuggled rice valued at N220.8 million in the past seven months. He said the rice was seized due to the sustained patrol of the maritime domain by personnel of the command. NAN reports that Emuekpere has been deployed to Navy Headquarters in Abuja as the Head of Administration.